Drift boat fly fishing at its finest. 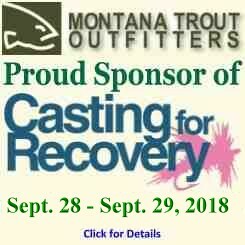 In Montana most of our guided fishing is done floating the rivers in drift boats and rafts. The challenge is that the majority of our anglers are wade fisherman on their home waters all season. They only spend a few days or a week each year float fishing. 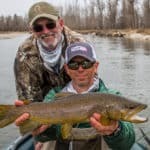 Float fishing is such a different discipline than wade fishing that a few drift boat fly fishing tips will help anglers maximize their success on the rivers of Montana. 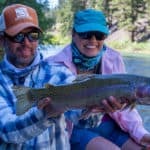 A lot of folks are drawn to fly fishing because of the disconnect it gives them from the rest of their busy lives. 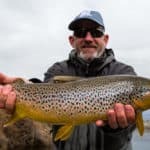 When you are on the water fly fishing there is little time to think about anything else than the act of fly fishing–casting, mending, line management, reading the water, tracking the fly, setting the hook. Mentally, fly fishing is all consuming, and as a wade angler it is just you, the water, and the fish. It gets a lot more complicated when you are float fishing because typically you are within mere feet of two other people. Mentally, drift boat fly fishing is more demaning because there is so much more happening in a shorter amount of time. A wade angler is relatively stationary while the float fisher is constantly on the move. The floater has to read water quicker, cast more, and mend more if they want to make the most of the advantage float fishing offers. Little challenges like line management, switching sides of the boat, and keeping the fly in a fishable position can all trip an angler up and lead to lost opportunities. 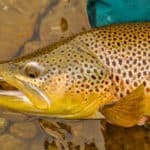 The mental game is huge in float fishing and if properly addressed can lead to the biggest improvement in an anglers success over any other technique or tactic. Our greatest sports athletes were of course very talented, but what made them the greatest was they were mentally tougher than anyone else. That laser focus will pay off on the river too, and it starts with the small stuff. Remember as a child when your parents would ask, “Did you even think before you did that! 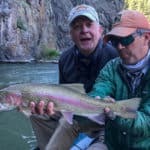 ?” Drift boat fly fishing is unfamiliar for most, so in the beginning you need to ask yourself lots of questions, or even ask your guide. Why is it so hard to get my cast out initially? Why does my flyline always get caught under my feet? Why do I tangle so much when switching sides of the boat? Individually all three of those are small issues, but far too often I see those three and even more become a problem in a single run, and repeatedly over the course of the day or an entire trip. The solution to those is fairly easy and will be covered in more detail later. The bigger fix lies upstairs, in the angler’s head. If you actually take the time to think about the problem, what caused it and how to resolve it then you are far less likely to repeat the error. That is one of the reasons why women can become such great anglers in a short amount of time. They actually stop to think about things while men often think the solution is simply harder, faster, stronger. Take an example from above. It takes forever to get your inital cast out toward where you are fishing. The problem is that you have been stripping your line in too far and the flyline/leader connection is going down inside your rod. 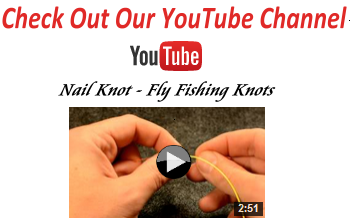 That knot hangs up on the guides of your rods and won’t allow you to get your cast out efficiently. The solution is to not strip your flyline in past the line/leader connection. It’s a fairly common problem with an easy solution. The key is to apply your mental focus to prevent the problem from happening in the future, or if it does, identify it immediately and correct it before it has an impact. The next level is to start thinking about things before you do them and predict the possible outcome. When you can prevent problems before they happen simply by thinking more you will be one step ahead. 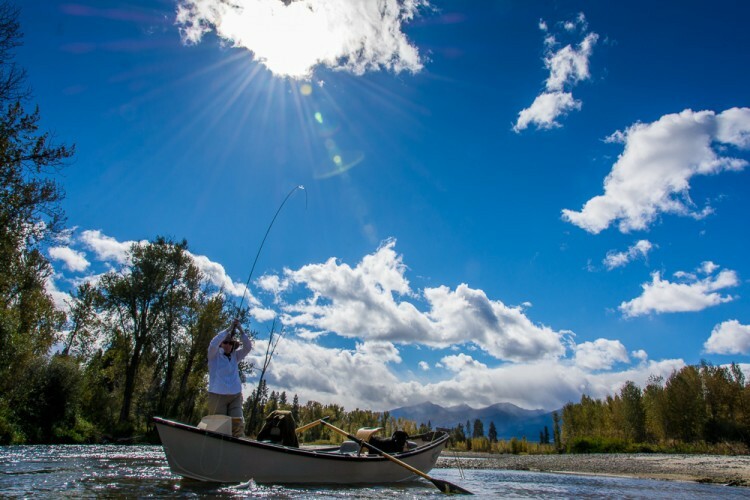 Drift boat fly fishing takes a ton of mental focus and is one of the main reason why anglers are so exhausted at the end of the day. The physical activity has an impact, but it is the constant mental excercise that proves most draining. Focus more, think harder and your fishing will improve by leaps and bounds.